Let's talk slipcovers... I know, finally, right?!? 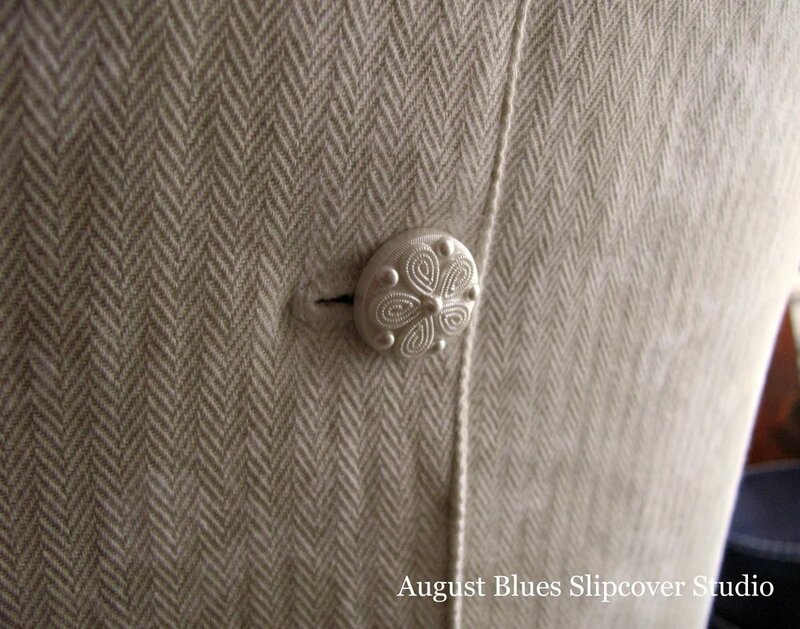 The slipcover project I have been working on for the last while has got me thinking about slipcovers and the details that can really make them special. This current project has a lot of details! 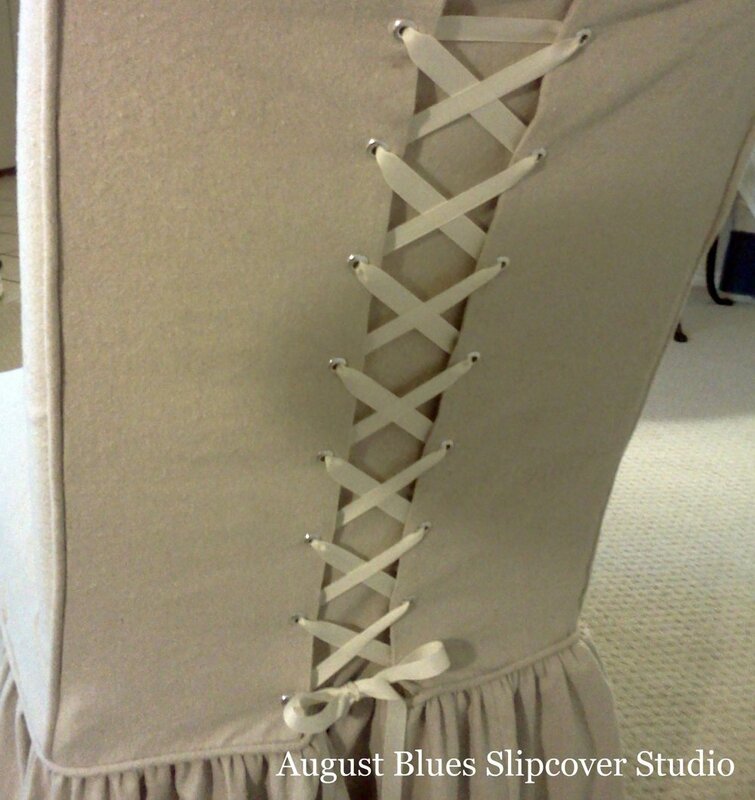 Lots on this one - contrasting knife pleat trim, piping, and grosgrain ribbon! 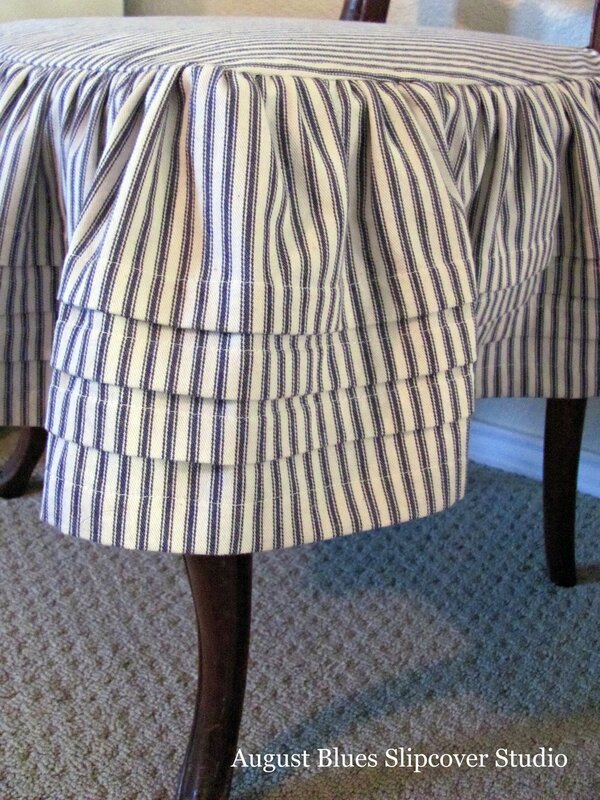 And a ruffle skirt with horizontal tucks (this was inspired by a little girl's Easter dress! ).